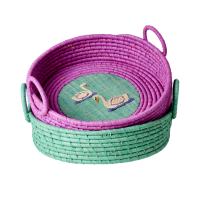 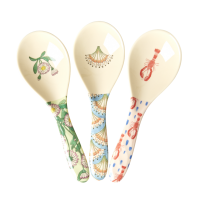 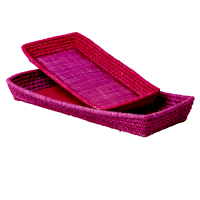 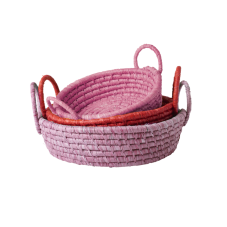 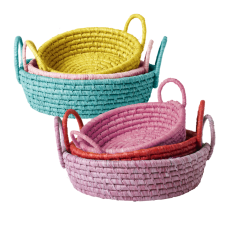 Set of 3 Colourful round raffia bread baskets or storage baskets from Rice DK. 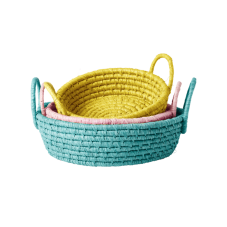 These colourful baskets will add an instant splash of colour to your table and home, use for bread on the table, storing your keys or other bits and bobs. 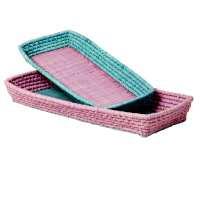 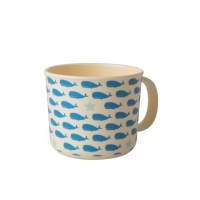 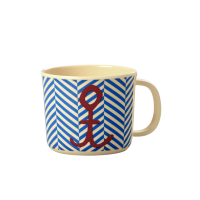 Choose either a Pink combination or Yellow, Pink and Mint.